How to Qualify For Oregon Social Security Benefits? The Social Security Administration follows a five-step process when evaluating a claim for Oregon disability benefits. The process is the same for SSD and SSI benefits and is summarized below. Are you currently working and earning roughly $1,000 per month? If so, you do not qualify for benefits. If no, go to step 2. If you are not currently working, do you have a “severe impairment(s)” lasting at least 12 months that significantly interferes with your ability to work? If no, then you do not qualify for benefits. If yes, go to step 3. 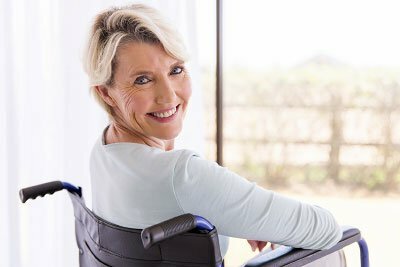 Is your severe impairment(s) a disorder or condition listed by the Social Security Administration? If yes, you are disabled and may qualify for benefits. If no, go to step 4. Does your severe impairment(s) prevent you from performing past work? If no, you likely do not qualify for benefits. If yes, go to step 5. Does your impairment(s) prevent you from performing any work? If yes, you are disabled and may qualify for benefits. Please keep in mind that the Social Security Administration will require medical information supporting your claim. Although you may think you cannot work, Social Security requires medical proof of your inability to work. At Moore & Jensen, we work with you to obtain the medical evidence necessary to support your disability benefits claim. Navigating through Social Security disability law demands persistence, knowledge, and determination – all of which we provide. If you have filed a Social Security claim or have questions regarding Social Security disability law, please contact our office to schedule a free initial consultation.